Today’s businesses and organizations must adhere to as many as three signage regulations or face costly penalties. The good news? A full-service signage resource, Signs By Tomorrow Corporate can help you comply with all signage laws by offering affordable solutions. In fact, we offer many indoor safety sign options that can improve your branding and enhance your interior décor while doing so! With Signs By Tomorrow Corporate as your partner, we’ll help you adhere to all indoor safety sign and compliance sign regulations. 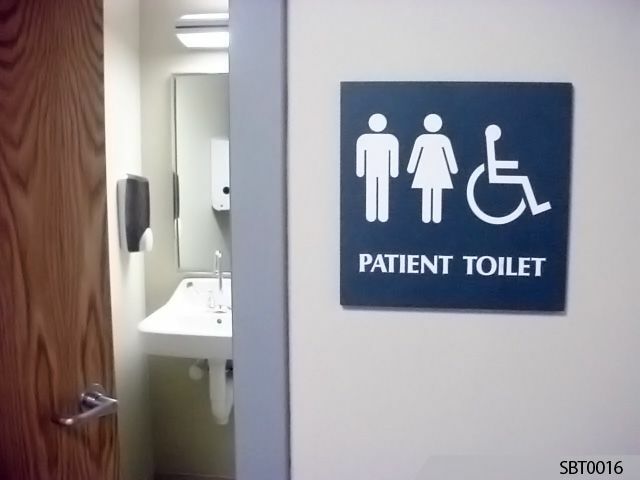 ADA signs: Most public buildings need signage that complies with the Americans With Disabilities Act (ADA). These are signs with braille and raised characters over high-contrast backgrounds. They help people with visual impairments gain easier access to buildings. ADA regulations apply to the design of indoor compliance signs. Other ADA rules address compliance sign placement and compliance sign height. Signs By Tomorrow Corporate offers two basic types of ADA signs. Select our standard, off-the-shelf styles if equipping, for example, a factory or warehouse. We can also custom design ADA signs with your logo, corporate colors and graphics. That way, they’ll support your branding or complement your interior design if used in corporate settings, offices, stores, malls and restaurants. OSHA signs: Occupational Safety and Health Administration (OSHA) indoor compliance signs are usually posted in factories, warehouses and other workplaces. They cover employees or members of the public who may be exposed to hazards. OSHA danger signs: They must be positioned wherever hazards pose an immediate danger and special precautions must be taken. Per OSHA, danger signs warn of potential hazards. They also warn against unsafe practices. OSHA caution signs: Alert workers to hazards or caution them against unsafe practices. OSHA safety instruction signs: Mount them wherever safety suggestions can help workers conduct their jobs in a safer manner. 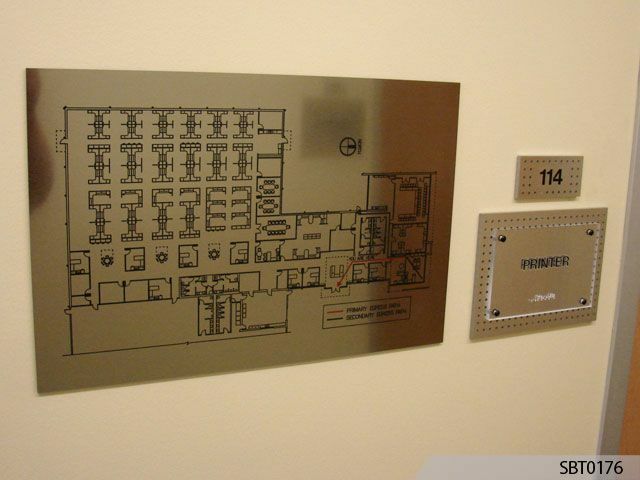 ANSI signs: The American National Standards Institute (ANSI) developed signage rules that supplement OSHA laws. In fact, the ANSI Z535 standard covers every aspect of safety sign design These include colors and signal words (e.g., “Danger”) as well as letter styles and sizes. ANSI danger signs: These interior compliance signs alert workers where the most serious hazards are present and where special safety precautions must be taken. “Danger” appears in white letters on a red background. ANSI warning signs: These interior safety signs note a hazard that can result in death or serious injury. “Warning” is printed in black on an orange background. ANSI caution signs: The dangers described on these interior compliance signs can cause minor or moderate injuries if not avoided. “Caution” is displayed in black on a yellow background. Visit our Inspiration Gallery for creative ideas on your next project. To speak with a Signs By Tomorrow pro for a solution that meets your needs and budget, give us a call or drop in today.